1st March at Helsinki Think Corner (Yliopistonkatu 4). Start: 9:30 A.M. End 6:00 P.M. 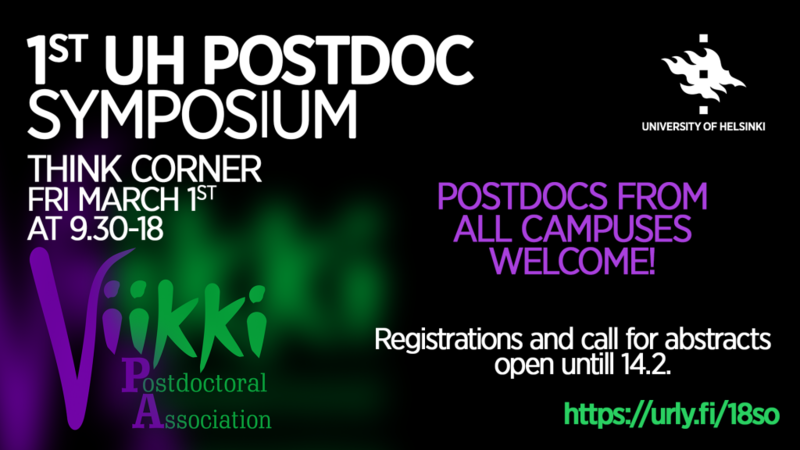 The purpose of this symposium is to bring together postdocs from across the Univeristy, with opportunities to present your work and interact. The programme includes a plenary talk, panel discussion on career issues facing postdocs, short talks by postdocs and a poster/networking/drinks session to end the symposium. 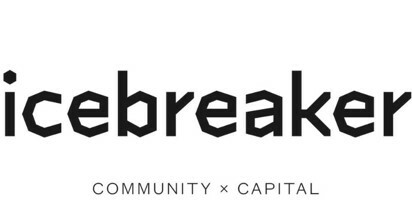 Check out the invited speaker and panelist bio’s here: LINK!. Poster and talk prizes will be given! Coffee, lunch and drinks will be provided! 10 :00 Eero Castrén– Regulation of neuronal plasticity in the adult brain. 11:00 Peter Österberg What is the Prospect for Agriculture? 14:45 Timo Kärkkäinen Neutrinos – a portal to new physics? 15:30 Marco Savarese What have we learned from titin, the most challenging human gene?